During our panel with VPs of Product at Boston tech companies, a student asked the panel, “How can product managers (PMs) establish credibility with technical coworkers?” Credibility is a key issue in the product management function. While all new employees may feel a need to prove themselves to coworkers, the product manager has an additional need to focus on credibility. The product manager role typically has ownership over all aspects of a product and is therefore responsible when anything goes wrong. However, the product manager does not have any direct reports, and therefore is only able to accomplish objectives by persuading coworkers to contribute to a particular product. Credibility is the currency that product managers use to get their job done. The panel responded the question by listing three ways that product managers get jobs done, which I have characterized by celebrity personas. The first way a product manager may establish credibility is by being technical enough to gain respect amongst the engineers of an organization. Of course, having technical skills in not sufficient in this approach, as the PM must also have enough marketing expertise to gain respect amongst the marketers, and sales skills for the salesmen, etc. The general point is that a product manager can be very good at her job by having a well-rounded and thorough skillset. I call this approach the Jamie Foxx PM. Jamie Foxx is an actor, a singer-songwriter, pianist, standup comedian, talk radio host, and in high school was a star football player. If I had to guess, I would estimate he probably speaks about 10 languages as well. 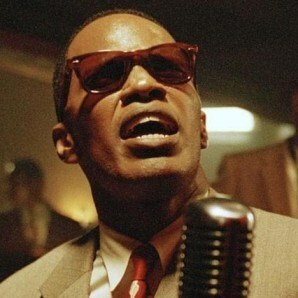 In short, Jamie Foxx is good at everything. The benefit of taking a Jamie Foxx PM approach is that it is relatively easy to determine where an aspiring PM should spend her time building skills. If the aspiring PM is currently a software engineer, she can find a mentor in the sales, marketing or finance departments to try to learn these additional skillsets. If the aspiring PM is in product marketing, he can take classes that teach technical programming skills. The drawback to the Jamie Foxx approach is that most people are not good at everything, and it can be intimidating to an aspiring PM to try to master a diverse set of skills before taking on the PM role. The second way a PM can establish credibility is that they gain the respect of others by being coaches of high-performing, unified teams. In this sense, the PM does not have to be great at everything, he just has to create the conditions for great output of his teams by bringing out the best in others. I refer to this approach as the Coach K PM. Mike Krzyzewski (Coach K) is the men’s basketball coach at Duke University, and holds the record for most NCAA Division I wins in history. He has won four NCAA championships with Duke and two Olympic Gold medals as head coach of the USA men’s basketball team. Coach K is known for treating his team as his family and using emotional language to describe his love for basketball and his team. While Krzysewski was a talented college basketball player in his own right, he never possessed the skills of the world class players he coached at Duke and on the US Olympic team. However, he is able to consistently create a team environment that attracts the best players in the world to play for him and execute on a world-class level. A Coach K PM should aspire to be a great leader of talented teams, and can practice that skill in a wide range of academic, athletic, and artistic disciplines. The third and final approach offered by the VPs of Product panel was to establish credibility by gaining respect for having a strong point of view. Under this approach, the PM is respected for her compelling product vision, and clear communication of that vision. I call this approach the J. K. Rowling PM, because of the importance of story-telling. 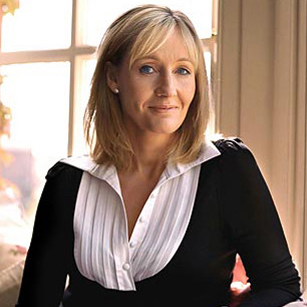 J. K. Rowling is of course the best-selling author of the Harry Potter series. While her books are now read by a broad range of people, the Harry Potter series initially attracted a fickle population of readers – grade school boys for whom reading was not a favored activity. Rowling used her unique vision to share a story that could captivate her audience, and in doing so, she created the best-selling book series of all time. PMs looking to pursue the J. K. Rowling PM approach, should practice communication skills such as public speaking and writing. Significantly, they must also aim to cultivate aesthetic principles by studying arts and popular culture. PMs with strong points of view are most successful when they are able to fully understand a product based on intuition and cross-disciplinary understanding. I have described three distinct approaches for aspiring product manager, but there is no reason to get boxed in. Well-known product managers often succeed in multiple approaches. Steve Jobs is probably both a Jamie Foxx and a J. K. Rowling PM, and a great coach can still learn to code. I would love to hear in the comments if anyone feels I have left out a successful PM approach, and for fun, who would you pick to personify that style?